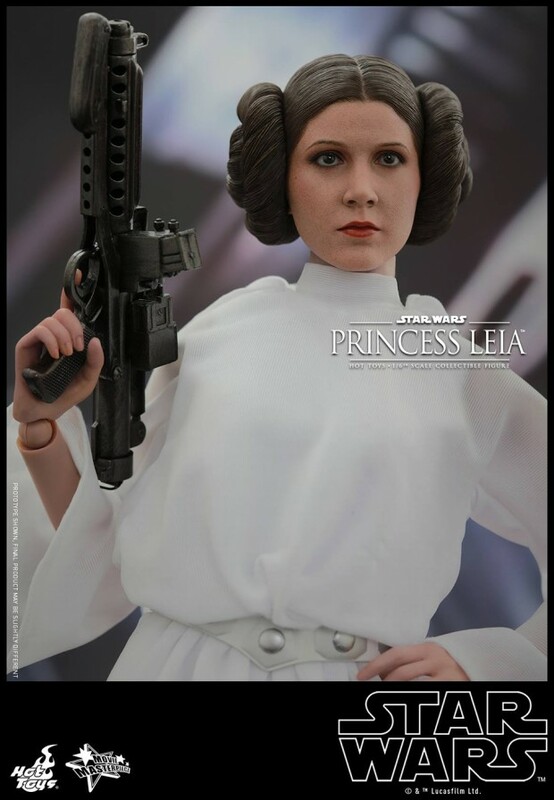 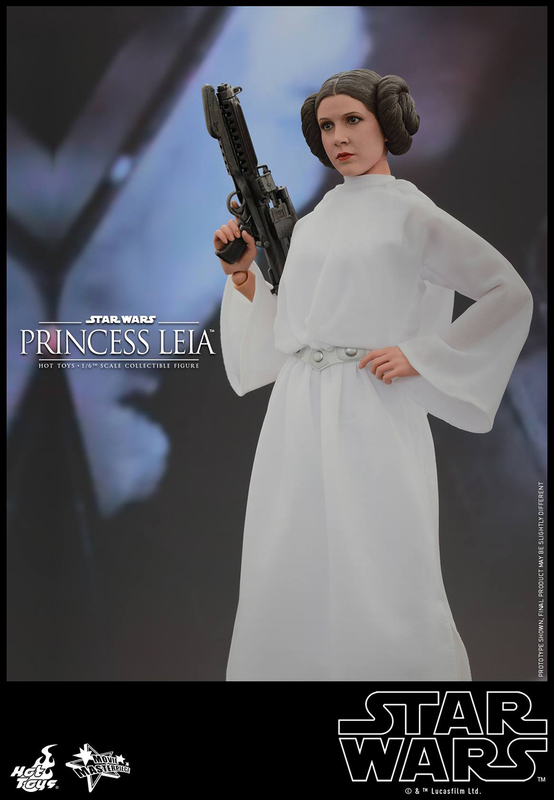 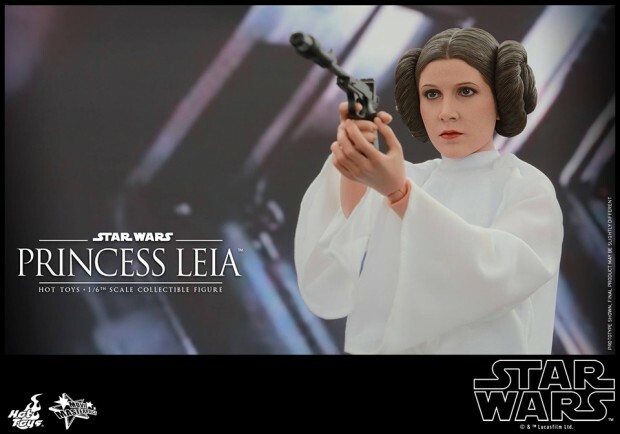 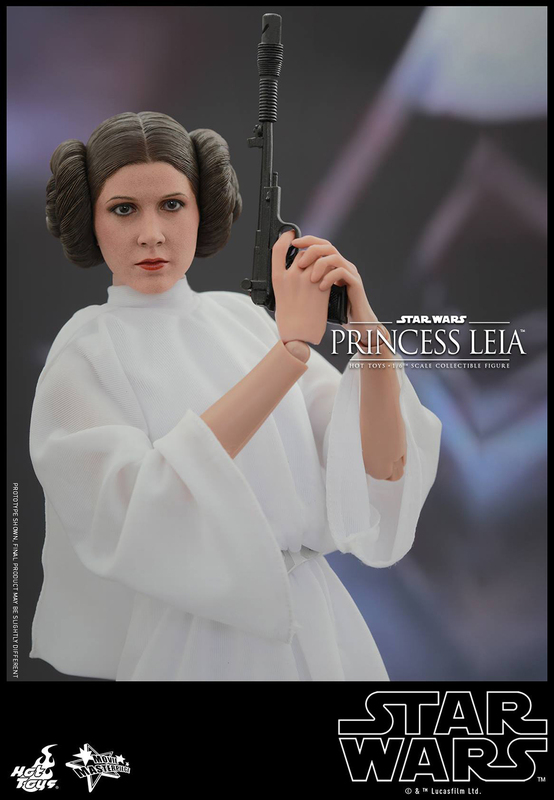 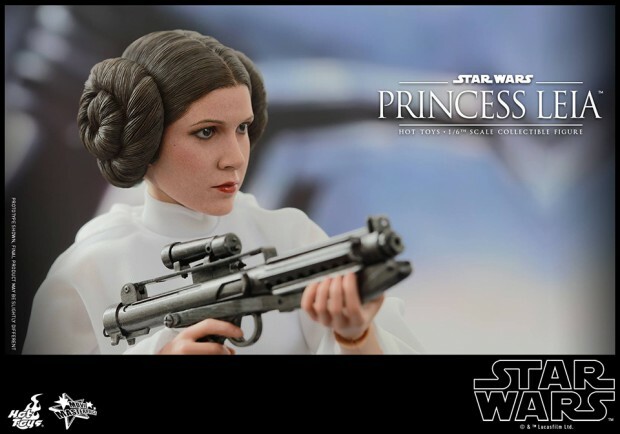 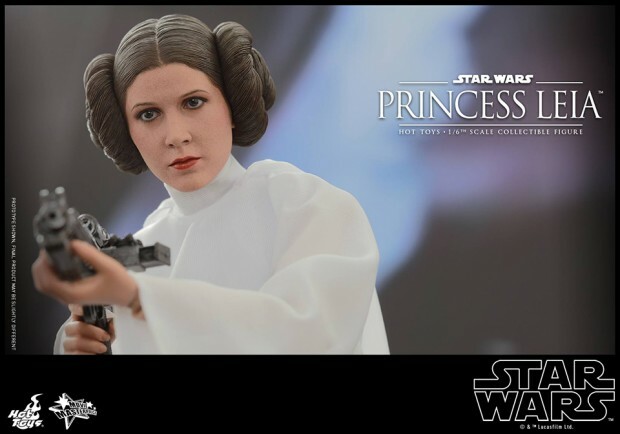 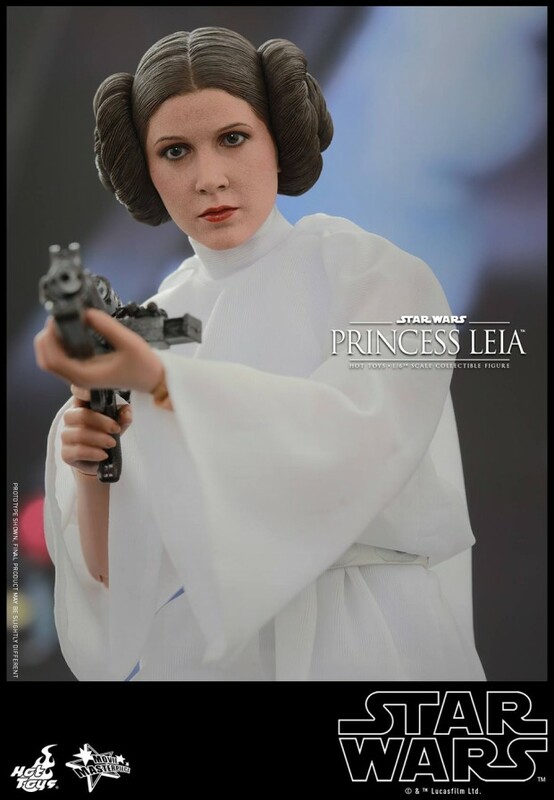 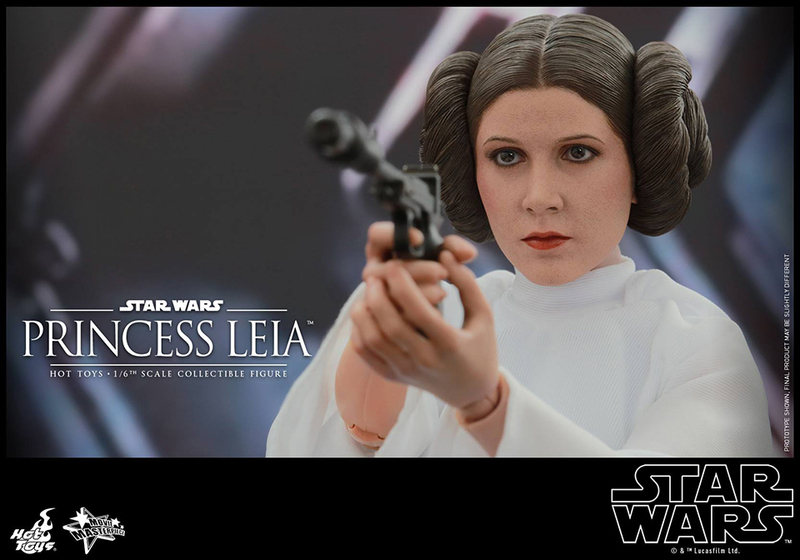 Princess Leia joins Hot Toys’ Star Wars: Episode IV A New Hope sixth scale action figures. 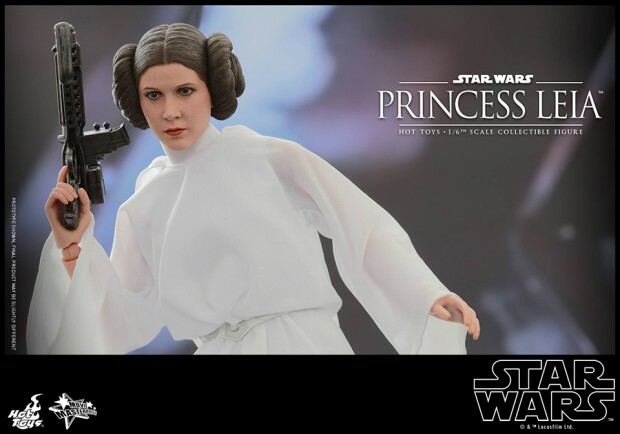 It has a great likeness of Carrie Fisher, although as with the Luke figure it would’ve been much better if they found a way to hide the figure’s wrist joints. 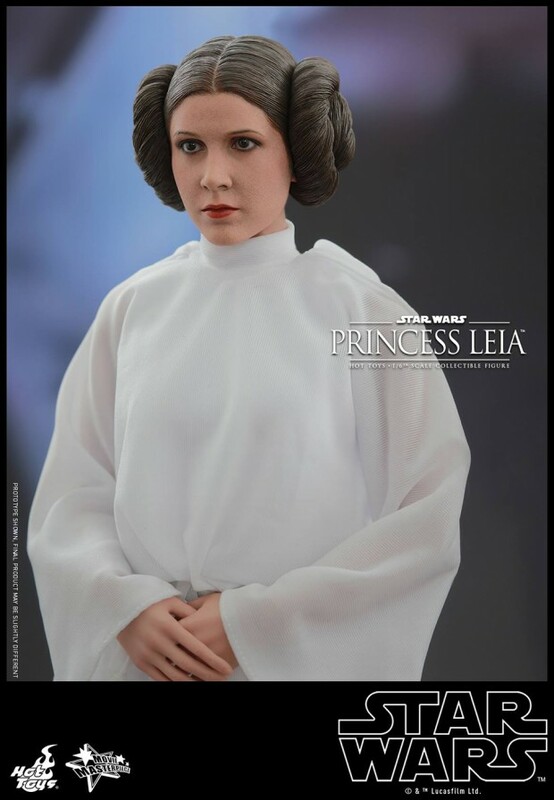 And also the prototype’s face appears to have a grainy texture. 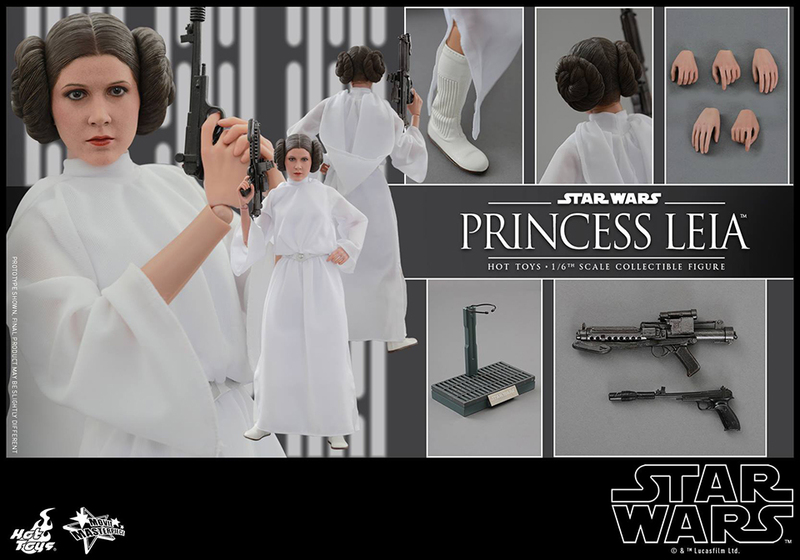 The action figure comes with a blaster rifle, a blaster pistol, five hands and a figure stand. 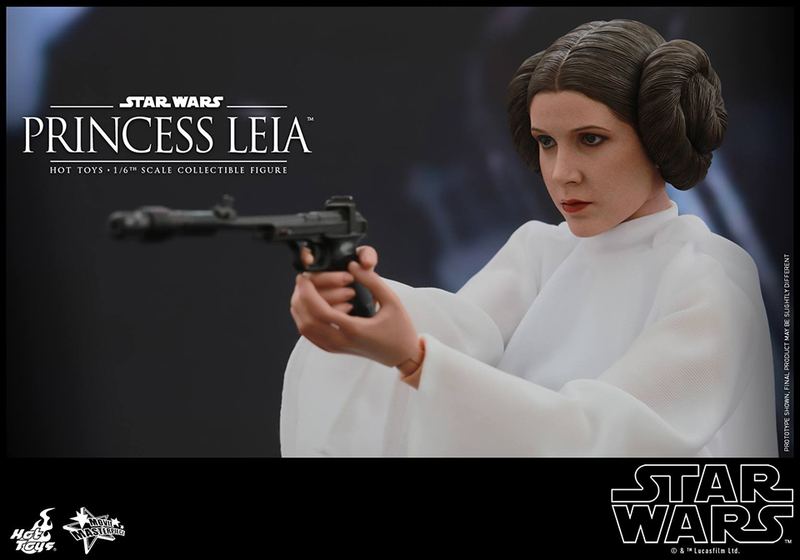 It doesn’t seem to be listed in online stores as of this writing, but it should sell for the same price as the Luke and Han Solo figures, which is around $220+ (USD).